Always eat in a calm, tranquil environment. Tension and strain tangle digestion. Always take a moment to reflect the food that has given its life to nourish your body. Take 3 deep breaths before beginning to eat. Consider where your food comes from. If you can’t identify where your food came from should you be consuming it? Chew slowly and many times. The breakdown of food begins in the mouth, the more you chew the easier it is for your stomach to get the most out of your food and prevent digestive upset. Following the steps above before eating is step one! HOPE: Following the acronym HOPE. Which stands for High fibre, Omega Oils, Probiotics and Enzymes is a great way to heal the gut through supplementation. Depending on how severe your gut issues are most people on a western diet should follow the HOPE protocol. High Fibre: eating food high in fibre such as flax seed, chia, psyllium fibre, raw fruits and vegetables, beans and legumes, plant proteins such as millet, barley and oats. If you are not able to eat enough of these foods, Renewlife makes a great product called Fibresmart. Fibre is important to keep the bowels moving regularly to carry both food stuff and toxins out of the body. Omega oils: cold water fish such as salmon, mackerel, sardines, plants like: nuts and seeds, olive oils, flax, borage, primerose and more. Omega Oils are important for reducing inflammation, cellular health, tissue healing, and lubrication. Again, these oils can be supplemented. Probiotics the fight between good vs evil. Why are probiotics important? Well, two reasons. One, they help to protect the gut from foreign invaders and two they help balance the gut microbiome. This is important because an imbalance can lead to IBS, leaky gut, autoimmune disease, thyroid issues and more. If you suffer from any of these issues an 80 billion or more multi-strain probiotic is recommended. Enzymes: Enzymes are the spark of life, they assist our guts in the breakdown and assimilation of our food stuff. They also act as catalysts to help carry nutrients to other areas of the body. We get them naturally from our fruits and vegetables, however if our diet is lacking these foods, then we need to supplement with a multi-enzyme blend. Unlike many of the special days we celebrate each year, the summer solstice is literally thousands of years old. In the Northern Hemisphere, the longest day of the year is on June 21 or 22 and it has been given great meaning by a range of civilizations. The ancient Greeks held great influence over the Mediterranean several thousand years ago. Like many of the groups that would come after them, they saw great meaning in the summer solstice. Many festivals were held at this time, the most important being the run-up to the Olympic games. In fact, the summer solstice marked the one-month count down to the beginning of the athletic games, which included activities like running and wrestling. Take a hint from the Greeks: use the summer solstice as a new beginning for your exercise regime, and make your routine more intense and try new activities that will allow you to build your strength and endurance. For the Romans, who once ruled a massive expanse of land stretching across several continents, the summer solstice was a time to celebrate Hestia, the goddess of domestic life and the hearth. In other words, it was a celebration of the home and family. Take a hint from the Romans: use the summer solstice as time to get serious about taking care of important home chores, like cutting the grass or cleaning out the attic. It might also be a good time to start a new renovation project, which could significantly boost the value of your home. Few Westerners are aware of the great empires that existed in China several thousand years ago. But there, as now, a unique and rich culture flourished. For the ancient Chinese, the summer solstice was a time to celebrate the earth, as opposed to the winter solstice, which marked a celebration of the heavens. This summer solstice, celebrate the earth by giving back to it. 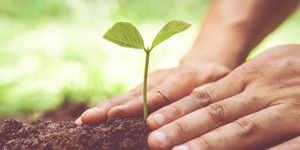 Plant a tree in your backyard or a local park. Help clean up a public place or work with your neighbors to sweep trash off the streets. 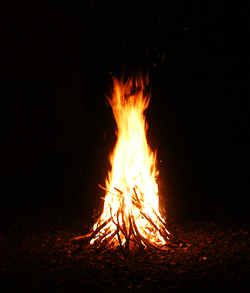 Sitting around the bonfire and talking with friends and family—it may just be the quintessential summer activity. And guess what? It’s also what the ancient Vikings of Scandinavia used to do to celebrate the summer solstice. The key, of course, is to be safe when building your bonfire. Don’t build one if you have overhanging trees or you’re too close to a building. Make sure you’ve got lots of space and keep all children well away from the flames! With the temperature rising, summer marks a great time to hit the clubs and patios. As the weather warms up, so too do the dance floors. Historically, the summer solstice has been celebrated with a variety of special dances. The Sioux, a Native American group, celebrated the event with a colourful ceremonial sun dance around a tree. For many groups like the Sioux, the summer solstice meant celebrating new beginnings through song and dance. There’s no better time to travel than summer, which gets started with the summer solstice. The longer and warmer days of the summer months allow travellers more time to see the sights and explore historical destinations. Take, for example, Stonehenge in England. Built by the Druids thousands of years ago, many modern Druids continue to gather at the remarkable landmark to mark the summer solstice (as well as the winter solstice, spring equinox, and autumn equinox). What you need to know for joyful, lasting love and companionship. Happiness within a relationship is hard to define. Not only is each relationship different, but within each relationship, each person defines happiness in an individual way. Some people view happiness as a peaceful conflict-free life. For some, happiness involves a tremendous amount of fun, great intimacy or lots of laughter. Whatever your definition, it directly correlates to your expectations, desires, wants and needs—and those things can change over time. What holds constant are 7 specific behaviors and attributes laid out below that, in my experience, can almost guarantee the likelihood of long-term success and happiness in a relationship. If you work toward integrating these keys into your daily life, you will most certainly experience greater joy and less conflict in your primary relationships. Every successful relationship is built on a foundation of respect. Respect means caring about your partner’s wants and needs and always taking them into account before speaking or acting. The expectation is that your partner will follow the same guidelines. My official definition is as follows: Respect means putting the comfort, well-being and happiness of the person you’re with at an equal level to your own. We feel happy when we know that someone has our backs. Relationships have the greatest success when each partner focuses on supporting one another at all times. This means that if someone is antagonizing your partner, you will either back your partner up directly or support him or her from behind the scenes. This also means that if your partner has done something you believe is wrong or that you don't approve of, that you speak to him or her privately about the issue, never in front of others. If you want to build a stronger positive relationship, let your partner know that he or she is a priority. Commit time and energy to talking and addressing each other’s wants and needs. Be sure that the two of you have “quality time” alone to connect and enjoy each other’s company. Even though work, children and other obligations are also priorities, find the balance so that your partnership is not neglected. Strong and happy couples know when to bring up issues and when to put them aside. My rule of thumb: If you can let something go, move on and still enjoy your partner … let it go! If you cannot move on and are ruminating or worrying about something, then bring it up. When you do bring it up, make sure it is in a calm manner, in private and at a good time for you two to discuss it. Never bring something upsetting up in bed, and never in earshot of children or other family or friends. The concept “Actions speak louder than words” is an important one when it comes to relationships. It is not enough to simply feel that you love someone, you must also show that you love that person. Use kind words, be physically affectionate, leave little love notes around the house … whether it’s a verbal gesture or a material one, make sure that you are letting your partner know in no uncertain terms that you love him or her. Partners in a successful relationship understand that you need to put in the work to keep things running smoothly. That means sometimes you need to do things that you do not want to do because it matters to your partner. Other times it means you have to put in that extra effort to calm down or hear out your partner’s concerns, even if that isn’t the easiest or most convenient thing to do in the moment. Relationships take a lot of work if they are going to be happy, successful and long-lasting. Even the best of relationships have challenges, and even the most wonderful of partners can have less-than-stellar moments. When times are tough, those who are seeking a happy relationship will combat the negative with a positive. If your mate is irritable after a long day, remind yourself about that great time you had last weekend or how funny he or she can be. If you have found that your partner is a bit messy, for example, and it doesn’t seem to change, focus on the fact that he or she is a great cook or a terrific parent. Reverse your thinking to remind yourself that your mate has great qualities and that you are happy to be together. Nutritional deficiencies are among the most common contributors to a weakened immune system, particularly vitamin and mineral deficiencies, as well as the deficiencies of good gut flora and reduced levels of stomach acid (which are necessary for absorbing nutrients from our food). Consuming too much processed food, alcohol, wheat, dairy, and sugar also contribute to a deficient diet. Sleep is essential for balancing our bodies and maintaining a strong immune system. Sleep deprivation leads to a reduction of natural killer (NK) cells that ward off bacteria and other pathogens, making us more vulnerable to illness. Consuming too much sugar has a negative impact on the effectiveness of our white blood cells, which keep us safe from viruses and other foreign invaders. Vitamin C is necessary for white blood cell protection, but because Vitamin C and sugar (glucose) have a similar chemical structure, too much sugar in the bloodstream leads the body to start absorbing sugar instead of Vitamin C and this deprives us of the benefits of Vitamin C as a powerful antioxidant. The natural role of our immune system is to fight off foreign invaders such as chemicals, pollutants, pesticides, herbicides, and so on. Too much exposure to these harmful elements will cause our system to go into overdrive, which will have a negative impact on its natural ability to defend itself. Finally, emotional stress has a very real impact on our physical state. Emotions such as fear, anger, and guilt affect not only our mental state but also our physical ability to fight off viruses and bacteria by causing a spike in cortisol, which suppresses the immune system. Although they still cannot fully explain why, studies show that a positive attitude actually boosts our immune system. For more information I recommend checking out nutritionist and health wellness consultant Sharlene Styles at www.purenaturalhealth.ca. If you need some extra help, she’s also available for appointments. Maintaining a clean environment is not only good for your health, but also for the value of your home! In a recent survey by OREA, 7 out of 10 home sellers in Ontario said that ‘cleanliness’ is very important to retaining a home’s future resale value. In comparison, half said that a new/renovated kitchen is very important, while 46% said the same for a renovated bathroom. How To BBQ The HEALTHY Way! Oh summer harvest, how I love you so. This time of year in Niagara is abound with so much bounty, beauty and sunshine (well, there's rain too). I'm guessing (and hoping) that makes for a stellar wine year for Niagara. Right now, we are at the height of our growing season in and farmers markets are bustling with fresh produce, tender fruit and tons of greens... and zucchini's! While you may not think of zucchini as being rich in nutrients, it rates very high in The World's Healthiest Foods across all nutrient categories: vitamins, minerals, macronutrients (like fiber and protein) as well as phytonutrients like carotenoids. They rate summer squash as an excellent source of copper and manganese and very good or good source of magnesium phosphorus, potassium, zinc, calcium, and iron. Not too shabby! Most of the antioxidants and fiber are in the skin of a zucchini, so it’s best to keep the skin when eating it. However, most zucchini varieties in North America are genetically modified, so it’s best to purchase it organic. I find that many of my clients get a little stumped on how to use zucchini in dishes other than grilling it or making a dip with it. Most people have now heard of or have tried zucchini noodles or 'zoodles' that make a delicious low carb alternative to traditional noodles. Using zoodles in place of pasta has endless possibilites, but if you're tired of the whole zoodle thing or need a little zucchini inspiration, here are some of my favourite ways to use zucchini while they're in the in the height of their season and relatively inexpensive. For more information and great healthy summer recipes, visit Sharlene Styles by clicking here. Spring is in the air and summer is right around the corner. This is a time of rebirth, high energy, and living in harmony with nature. In order to make the best out of the outdoor season and lead a healthy and active lifestyle, follow these 4 easy steps. 1. Embrace LIFE and ENERGY! This is the season of new beginnings, and this is your chance to embrace the new you. You don’t need to wait for the New Year to make new resolutions; in the spirit of the outdoor season, you can choose to be creative, adopt a new positive attitude, eat healthy, and be active right now! 2. Be ACTIVE! As animal and plant life flourishes all around you, become one with that energy. Walk outside and take in the fresh scents of nature, hear the birds singing, and adopt an exercise program that will help you become your best and healthiest self. Whether you like to jog, bike, practice Yoga or Tai Chi, or lift weights, an active lifestyle is a crucial ingredient for improving your health and overall wellness. 3. CLEANSE and PURIFY Your Body! With the fruits of nature in abundance and the sun shining its energy upon you, choose to avoid artificial chemicals and the excesses of drugs and alcohol. Eat healthy, drink healthy, and commit to dropping harmful habits like smoking. Good nutrition is nature’s medicine, and a healthy diet is essential for a long and healthy life. 4. SEIZE THE SEASON! Check your local farmers’ markets for the freshest seasonal fruits and vegetables of the organic variety. Now that winter is behind us and fresh produce is once again growing locally, seize the opportunity to stock up on those luscious natural nutrients! There is nothing better than fresh, organic, and locally grown fruits and vegetables, so take advantage of this bounty while it lasts. The spring and summer season is a time for creativity, vibrancy, and for new opportunities. Seize the benefits of this beautiful season and strive to reach your full potential! There is no time like the present. Prevent Mold the Natural Way, using Essential Oils! Springtime is the time of pleasant weather and beautiful flowers, but it is also a time when you really have to watch out for mold growing inside your home. The negative effects of mold are most acutely felt by those who suffer from asthma, allergies, or immune system deficiencies, but living with mold for a long period of time is dangerous for everyone. Mold triggers allergic reactions in many people such as sneezing and a runny nose, and those with asthma may actually experience asthma attacks as a result of mold. Essential oils can be an effective natural remedy to mold buildup. In particular, Peppermint, Clove, Rosemary, and Cinnamon are among the most effective essential oils against mold and bacteria. A study conducted by the Internet Journal of Microbiology found clove oil to be effective against such bacteria as Staphylococcus and Aspergillus. Furthermore, according to studies conducted at the Western Infirmary in Glasgow, Scotland, lavender, melaleuca, thyme, and peppermint demonstrated the strongest killing power against MRSA antibiotic resistant bacteria. It is advised to use a cold air diffuser in order to diffuse your essential oils so that they can kill the existing mold spores and prevent them from multiplying. Run a dehumidifier through damp spaces such as basements and crawl spaces in moist weather, because studies show that ventilating air is more effective in blowing air out of the house than simply bringing outside air in. Synergistic blends of essential oils are more powerful than individual ones, and the most helpful oils for fighting mold include Cinnamon, Clove, Lemon, Orange, Spruce, Rosemary, and blends of Biblical Oils. For the most effective result consider using a cold air diffuser, which doesn’t heat up the oils so it doesn’t destroy their anti-bacterial properties. Remember that chemical air fresheners are useless because they merely mask mold and mildew odors (instead of fighting bad bacteria, you are introducing more potentially harmful chemicals into your home). If left unchecked, the growth of mold can result in serious physical symptoms such as headache, bloody nose, rashes, nausea, diarrhea, and more. If you believe that there might be a serious issue with mold in your home, contact a qualified mold expert rather than attempting to fix the problem yourself. For more information about the health benefits of Essential Oils, contact me at Barbara.Grumme@century21.ca. Recent scientific studies reveal that taking off your shoes and walking barefoot on the natural earth has surprising benefits for your health! Walking barefoot creates a sensual sense of delight, and having your bare soles kneaded by the rugged ground can be as pleasurable as getting a professional (and expensive!) foot massage. There are reflexology points in your feet which connect to every organ in the body, and walking barefoot on uneven natural terrain stimulates pressure points in the feet. But more than that, it is impossible to have a natural gait while wearing shoes. While shoes can protect our feet as we walk in the city and over sharp objects, they are no substitute for the precise shape of the soles of our feet. The unnatural shape of our shoes will throws our body out of its natural alignment over time, and while this causes no major concerns for some, for others it can cause problems such as hip and back pain that has no conventionally diagnoseable origin. Walking barefoot allows for a natural gait, giving your body the chance to align itself and move freely. Walking barefoot for a period of time each day frees up tension stored in the muscles from shoe-wearing and allows the body to move naturally and freely, which improves posture and reduces stress build up. Walking barefoot also literally grounds of the human body. Human beings are electrical in nature and electrons in the body have a charge. When our bodies have a predominantly positive charge, we feel stressed and can experience dis-ease. Positively charged ions or ‘free radicals’ are responsible for health problems ranging from aging to inflammation. Free radicals occur in the body as a result of exposure to un-natural environments, electronic equipment like computers, and the consumption of unhealthy foods. Walking barefoot allows free radicals to move through our feet and be discharged into the earth. As the unhealthy positive ions are leaving the body, the beneficial negative ions from the earth travel up through our feet into our bodies. This cannot occur when wearing shoes, because they have rubber soles that effectively insulate us against this electric energy. When we have more negative ions in the body, we feel relaxed and happy, and negative ions in the body have been associated with a reduction in inflammation and dis-ease. For more information on the benefits of walking barefoot and other great health tips, visit Christa’s Facebook page: https://www.facebook.com/goodvibesyoganiagarafalls/. Feng Shui for a Healthy and Happy Home! Feng shui is an ancient Chinese art that dates back over 5,000 years. Feng shui is closely related to the study of CHI (energy or life force), and it is focused on attracting and channelling good chi throughout your home. 1. If it is dangerous, make it safe. 2. If it is broken, fix it. 3. If it is cluttered, organize it. The basic philosophy of feng shui rests on the belief that everything is connected through life force/energy, and that your consciousness and state of mind are represented in your environment. The purpose of feng shui is to attract balance and harmony to our state of mind by reflecting this balance and harmony in our physical environment (at home, at work, and so on). Positive chi is created with objects that are dear to you and cared for properly, while stagnant chi is found in the corners of rooms, in unused rooms, and in cluttered areas. Feng shui teaches us that clutter is in fact emotional, and that it actually brings down our energy. Put simply, a cluttered home represents a cluttered mind. You must learn to let go of that which no longer serves you in order to allow new treasures to come into your life! If you would like to learn more about feng shui and perhaps attend one of my Love Your Life Seminars, feel free to contact me anytime at Barbara.Grumme@Century21.ca. With the New Year come new beginnings, and many of us are determined to turn over a new leaf and finally do that one thing that we’ve been putting off for a while. Whether we want to exercise more often, spend more time with the family, or finally go for that big promotion, the New Year is a time when most of us make life changing resolutions. But how can we actually keep these resolutions by the time February roles around? Here are 5 easy steps to help you stick to your New Year’s resolutions in 2017! Be Specific! Many people make vague resolutions such as “get in shape” or “work harder” in the New Year, but when your goals are not specific you will not be motivated to work towards them. Instead, commit to losing 10 pounds or exercising at least 3 times a week, and then follow through! You can always move the bar higher as you go, but seeing real and specific results will motivate you to stick to it. Plan Ahead! Once you pick a specific goal, you need to plan your daily routine around that goal. If your New Year’s resolution is to exercise at least 3 times a week, you have to organize your life in a way that gives you the time to do that. Keeping a written schedule which you can review daily will help to keep you on track. Be Patient! If your goal is to lose 10 pounds in a month but after a month goes by you still find yourself at the same weight, your first instinct will likely be frustration and you might be tempted to give up altogether. At this point you must remember that everyone is different, and big changes in your daily routine need time to take hold. Stick to your guns and persevere. Be Flexible! As you pursue your New Year’s resolutions you might encounter unforeseen obstacles. For instance, you might be called into work on a day that you were planning to devote to exercise or some other important activity. Don’t let this throw you off! Success is not an all-or-nothing game, and you can reschedule your activities or even skip a day or two as long as you stay committed for the long haul. Get Support! Make the commitment to tell your friends and family what your goals are and what you are doing to achieve them. If you do this you will feel a greater incentive to follow through, and your loved ones will be able to support you through the process and remind you of your priorities. The “Buddy System” is an old idea, but that’s because it works. If you follow these 5 easy steps you will be far more likely to stick to your New Year’s resolutions, and 2017 can be your year for new beginnings and new adventures! Have you Discovered Heartland Forest? One of Niagara’s most beautiful hidden treasures, Heartland Forest is unique natural attraction located on the outskirts of Niagara Falls (not far from the Niagara Square). Embracing the slogan Where Learning Comes Naturally, Heartland Forest is a registered charitable organization that welcomes people of all ages and abilities. Heartland Forest is a natural oasis in the heart of Niagara; it features easy access trails, gardens, turtle, frog, and fish ponds, as well as picnic, recreational, and interpretative areas. To inspire and enrich the lives of people of all abilities through inclusive program offerings and hands on exploration. We are committed to community engagement and environmental stewardship for future generations. Heartland Forest is open to the public for free from 9am to 4pm daily. For individuals visiting with groups other than their family, Heartland Forest asks that you phone ahead and give them a heads up. I am regular visitor myself, and I can vouch for the therapeutic effects of enjoying a leisurely walk across their beautiful trails. Christmas is right around the corner, so what better time to talk about the many health benefits of frankincense? Frankincense was one of the gifts offered to baby Jesus by the three wise men, and it holds great religious meaning for Christians around the world. Aside from its religious significance, frankincense has also been transformed into an essential oil that is widely used in aromatherapy and natural health. Here are some interesting and important facts that you might not know about frankincense oil. Used as an anointing oil in religious ceremonies for thousands of years, over the centuries frankincense has also been a popular ingredient in cosmetics and it has been used by everyone from ancient Egyptians to Anglo-Saxons. Frankincense oil has several important benefits for our health, including calming and comforting properties that allow us to deal with stressful and emotional situations. In aromatherapy frankincense oil is used as a sedative that helps create a feeling of satisfaction, relaxation, and mental peace, allowing us to deal more effectively with stress, anger, and anxiety. Frankincense oil is also useful for your skin health, and it has been shown to treat dry skin, reduce the appearance of scars and stretch marks, help with healthy cell regeneration, and reverse the signs of aging. The properties of frankincense oils can help speed up the healing of bites, cuts, boils, and acne, as well as strengthen gums and hair roots. The health benefits of frankincense oils are associated with its anti-inflammatory, antiseptic, digestive, and disinfectant properties. Frankincense oil is considered a tonic because it is beneficial to all of the systems operating within our bodies, including the nervous, respiratory, digestive, and excretory systems. Moreover, it helps our bodies absorb nutrients and strengthens our immune system. While generally safe, it is advisable to do a spot test on your skin to check if you have any type of sensitivity to frankincense oil. In order to take the oil internally it is advisable to dilute a drop in a teaspoon of honey, an edible carrier oil (such as coconut oil), or a glass of purified water or any non-acidic, non-dairy beverage. You could also simply put one or two drops under your tongue, but be advised that ingesting the oil is not recommended for children below the age of 7, and older children and teens may require higher dilutions. For more information or to purchase frankincense and other essential oils, please click here.